No need to worry about overspending on your next new luxury vehicle thanks to the Acura incentives at Rallye Acura. 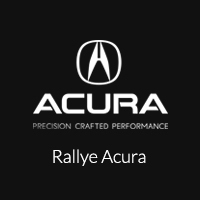 Whether you’re from Manhasset or Garden City, Rallye Acura has a new Acura model that will meet your needs. From the Acura RDX to the Acura MDX, explore our offers and incentives to make your drive the best it can be! When you’re ready to buy, be sure to explore the offers and incentives at Rallye Acura! Our finance team is standing by ready to help you answer any questions and to guide you through the process. Looking to get an estimate on financing? Check out our finance calculator to estimate what your monthly payments will be.